My love for Latin America started when I lived in Buenos Aires during my 3rd year abroad from university. I was enchanted by the buzz of the city, the delicious food and weekend adventures in the pampas. After graduating, I immediately returned to the continent, this time to live in Santiago. 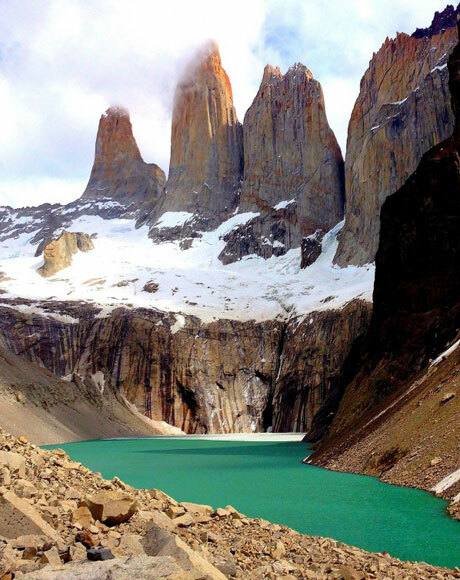 During my two years in Chile, I was lucky enough to visit almost every corner of the country. I am now based in London, but visit Latin America regularly to indulge my passions for horse riding, trekking, gastronomy and the beach! Loca by Chico Trujillo, a Chilean cumbia band. Guaranteed to fill a dance floor! Always try to learn a little bit of the native language before travelling. Even a small gesture goes a long way. I really loved Mexico City. I went with few expectations and was left spellbound by the local art and culture. The Frida Kahlo walking tour and hot air-ballooning over the Teotihuacan Pyramids were major highlights. And to escape the crowds? In Peru, the Lares Trek has all the scenery, experience and culture of the Inca Trail, but barely seeing another tourist en route, outside of your small group. Instead of camping, you stay in lovely mountain lodges dotted along the Sacred Valley. This lodge to lodge trek can be a 5 or a 7-day expedition, both finishing at Machu Picchu. Favourite restaurant in South America? Not a traditional restaurant, but lunch at the Sky Lodge in Peru’s Sacred Valley is unforgettable. The ‘dining room’ is a small pod located on a cliff edge. To access it, you must climb 800m up by via ferrate. At the top, you are met with delicious traditional Peruvian food and stunning views (as well as a huge adrenaline rush!). To descend, you zoom down 6 different zip lines. Must read before you travel? Pablo Neruda’s poetry. Neruda was a Chilean writer, and hailed by many as one of the most accomplished Spanish language poets. My favourite work of his is Oda a Valparaíso. A pisco sour is always a crowd pleaser! Pisco is a grape brandy and is made ‘sour’ by adding lashings of fresh lemon. Dangerously refreshing and moreish. I never go on any trip without my Uniqlo light-weight coat. It folds away into nothing so can be easily packed; it is deceptively warm, and doesn’t use up valuable kgs in your suitcase! Best travel experience in South America? Snorkelling with graceful sea turtles in the Galapagos was an incredibly peaceful and surreal experience.